Apologies for not updating this blog for a very, very, very long time. However, for the last several years I have been focusing on other things and have not been able to travel. The last time I visited California was in 2011, so I have not had any more personal experiences to post about. That, however, is going to be changing. I will be moving to California in a few months and will be able to add a lot of new content once I'm settled. So, don't despair, we will be back and better than ever for the last few months of 2015 and beyond! 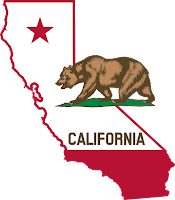 I'm excited for the change and the opportunity it brings to explore more of California. I thank all of you who have read my past content and hope you will stick with me in anticipation of the new content I will be able to add. So, cheers to more California travel in 2015 and beyond! Wow! I've really been slacking. It's been a little over six months since my last post. What a bad blogger. I've missed posting so many good deals and events. I plan to get myself in gear and post more in the near future, so don't despair. We'll be back and better than ever! Along the central coast of California lies the Pigeon Point Light Station State Historic Park, located about 50 miles south of San Francisco off Highway 1. 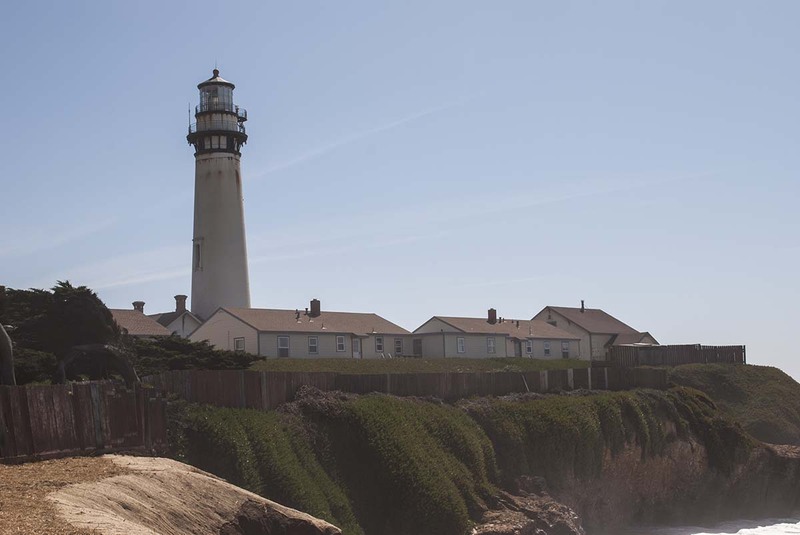 The Pigeon Point Lighthouse dominates as one of the tallest lighthouses in America at 115 feet. 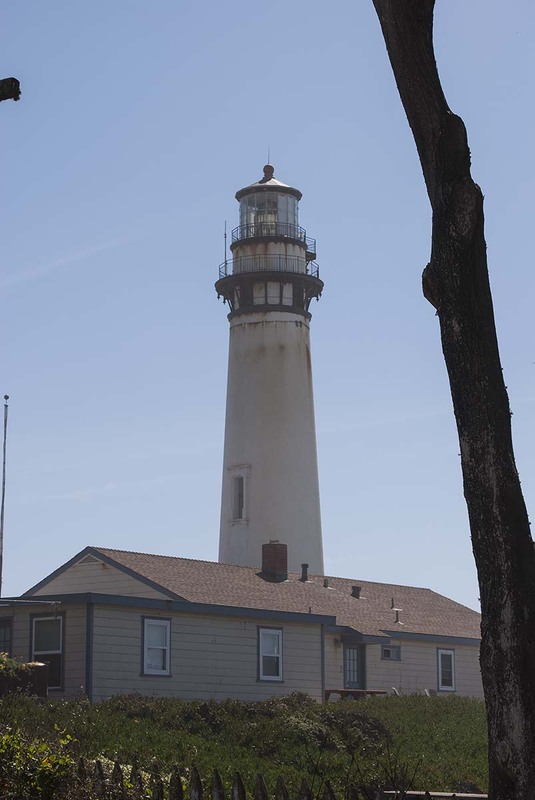 The lighthouse began operation in 1872 and, though currently closed to the public, is still in operation with the U.S. Coast Guard. 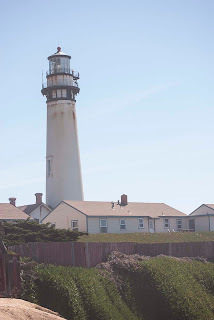 The Pigeon Point Lighthouse Hostel features very affordable accommodations for those willing to sleep dorm-style and, still low rates, for those wanting private rooms. The Pigeon Point Lighthouse Hostel are adjacent to the lighthouse itself. Besides the accommodations, there is also a coastal hot tub for guests to "rent" (reservations available at check-in.) You will need to be a member of Hostelling International in order to stay at the Pigeon Point Lighthouse Hostel, but annual membership is very affordable at only $28 per year (a daily member rate of $3 is also available.) 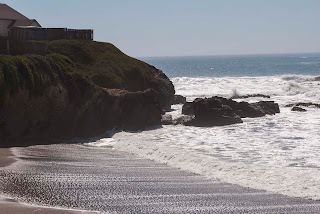 The hostel is part of the Northern California Hostels network of eight hostels located from Pigeon Point to Sacramento. 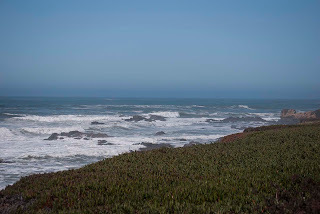 Pigeon Point is a beautifully scenic location on the central coast in between Santa Cruz and Half Moon Bay. 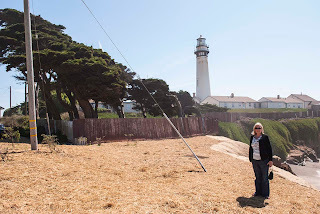 History walks around the lighthouse grounds are offered between 10 a.m. and 4 p.m. Fridays through Mondays. The area features a boardwalk perfect for whale watching January through April; tidal pools; and an interpretive center. 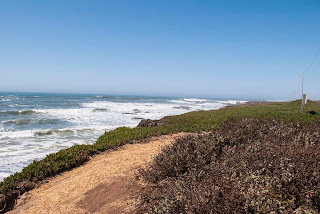 You can also explore nearby Pescadero March and Año Nuevo State Park. 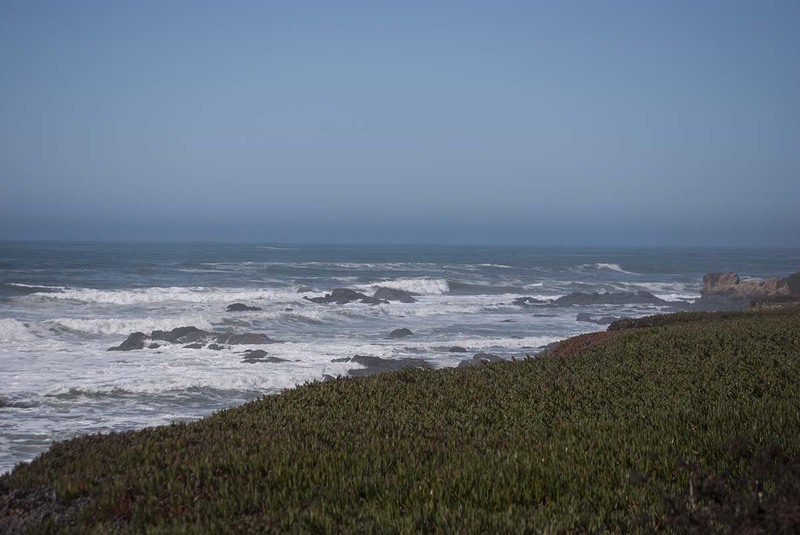 Pigeon Point is also part of the California Coastal Trail, a 1,200 mile trail extending from Oregon to Mexico. 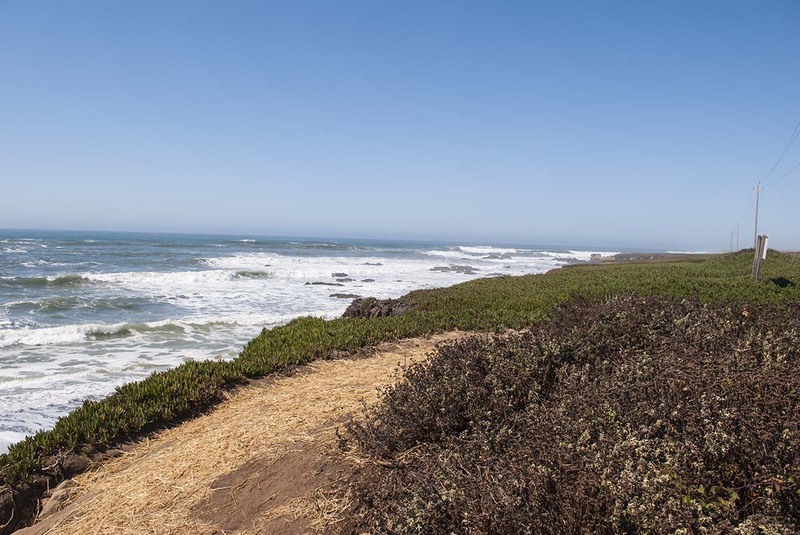 The California Coastal Trail (CCT) is currently more than half complete, allowing walkers, bikers, equestrians, and wheelchair rides access to the California coastline. Coastwalk California is a volunteer group advocating for completion of the CCT. 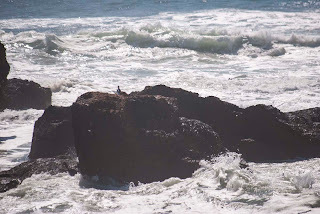 Besides advocating for the CCT, Coastwalk offers a variety of guided day and overnight hikes along the California coastline. I apologize to anyone who sent me a legitimate email at my official website email address, as I completely forgot to check it for several months. My email is there for people to contact me about articles I write, to provide article suggestions, or to alert me to promotions. It is not there for people to inundate me with proposals for SEO, website design and the like. So, to all you spammers who have sent me emails (which I only just saw) I do not need SEO strategy and results or website design or development or photo retouching (I'm a photographer) or 1st page Google ranking (maybe one day I'll get there on my own), or any of the myriad other proposals or whatnot I have received. Thanks, but no thanks. I'm still a little confused about the whale watching dude. Groupon is currently offering a deal for the USS Pampanito, located at Pier 45, Fisherman's Wharf in San Francisco. The offer says there is limited quantity available for a limited time remaining, so act fast if you want to take advantage. The Groupon is good through December 18, 2013; so, you can buy now for use later on this year. There are three different options available for purchase and the largest discount is at 63%. The deal has been offered before, but prices have increased since last year. Lock in your savings if you plan to go to San Francisco this year. The USS Pampanito is part of the San Francisco Maritime National Park Association. This National Historic Landmark served six patrols in the Pacific during World War II, sinking six Japanese ships and damaging four others. The submarine is open daily (closed Thanksgiving, Christmas, and New Year's Day) from 9:00 am. Regular adult admission is $12.00 and children ages 6-12 are $6.00 (children under 6 are free with an adult). There is also a self-guided tour for $3.00; however, you can download a free audio tour ahead of time to play on your smart device. Sea glass can be found on many beaches around the world, but one beach that has been one of the most abundant sources of sea glass in the world is disappearing just as fast as people can pick up the pieces. Glass Beach, near Fort Bragg in Mendocino County, was used as a dumping ground by area residents until it was closed in 1967. Once called "The Dumps," this beach was eventually cleaned up and opened to the public as part of MacKerricher State Park in 2002. Sea glass is typically created by the natural wear and tear of the ocean on broken bottles, glasses, and the like. Many pieces of sea glass have been created over the years from items lost at sea during shipwrecks. The natural ebb and flow of the water smooths the surface of the broken glass until the pieces are frosted pebbles. In recent years, sea glass has been a very popular collectible and is often used in making jewelry. Because of the increase in collectors and a decrease in littering, sea glass is not as abundant as it once was. Glass Beach in Fort Bragg has especially suffered the ravages of collectors, even though the beach is posted with signs prohibiting collection, people are still picking up bags of the glass. 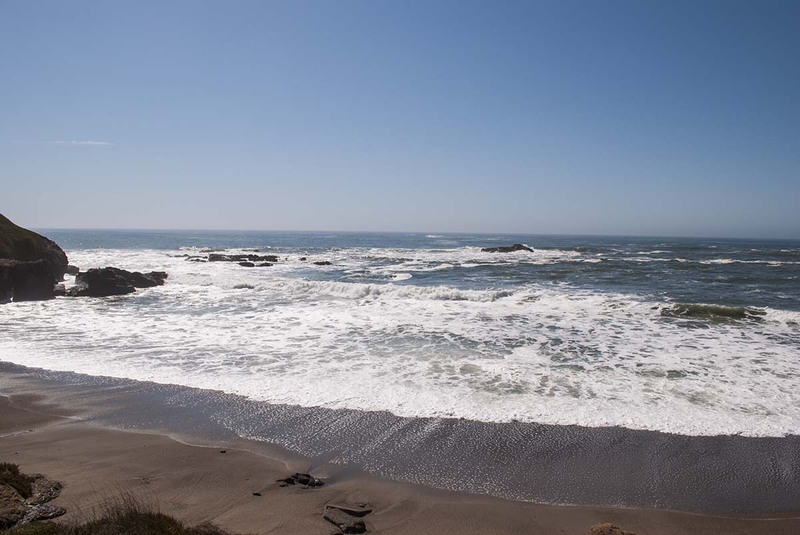 If you visit Glass Beach in Fort Bragg, or a glass beach anywhere else, make sure you know the rules about collecting the glass. If you're not sure, just don't do it. Besides Glass Beach in MacKerricher State Park, there are two other nearby sea glass beaches. The other two beaches are more difficult to access, so the glass is more plentiful as there are less people to take it. Beaches are naturally beautiful places to visit, so the addition of the colorful sea glass is just a bonus, but one that should be preserved for all to see. Sea glass can be found on beaches around the country and there are many places that celebrate this unique glass with festivals. Natural sea glass (yes, there is "fake" sea glass) gets harder to come by as more people collect and fewer people litter (not to mention that we use fewer glass bottles these days). If you want a piece of sea glass, there are many places you can purchase it as it is a popular collectible in tourist areas, art galleries, and jewelry shops. 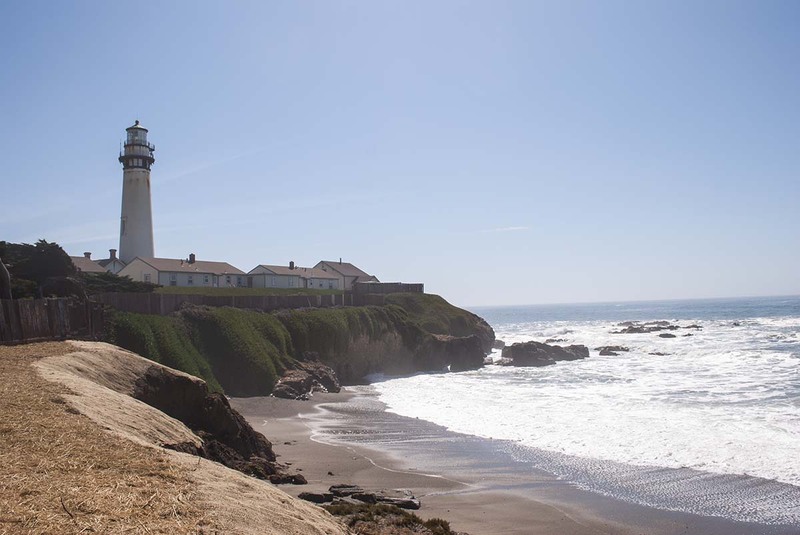 Besides being home to several sea glass beaches, Fort Bragg is also home to the International Sea Glass Museum, as well as their own Sea Glass Festival. March 23 marks the return of the Monterey Bay Aquarium's most popular exhibit, the sea otters. More than 50 million visitors have enjoyed the sea otters at the aquarium. The two-story exhibit has been upgraded to include new interactive features where visitors can learn more about the adorable animals and the efforts undertaken by the aquarium to bring them back from the brink of extinction. The aquarium's Sea Otter Research and Conservation program is home to the only center that rescues and releases California sea otters. 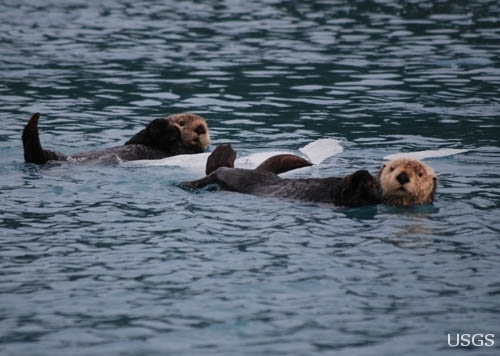 The program has aided more than 600 ill, injured and orphaned sea otters since 1984. The exhibit otters have helped Monterey Bay Aquarium researchers learn more in depth information about the animals, gathering baseline data about otter growth and development. 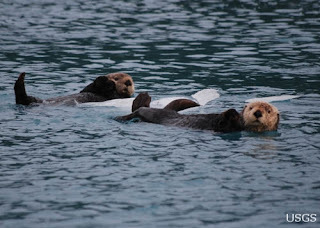 The current sea otters who will share exhibit time at the Monterey Bay Aquarium are Rosa, Abby, Kit, Gidget, and Ivy. Rosa is the oldest at almost 14 years and Ivy is the youngest at just 1-1/2 years old.